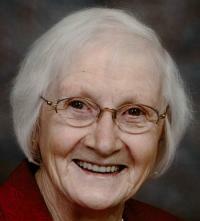 Knowing she is at peace in the arms of God, the family of Grietje (Grace) Dost-Tietema of Edmonton, announces her death on Thursday, March 3rd, 2016 at the age of 86 years old. She was born December 29, 1929 in Emmen, the Netherlands. She will be lovingly remembered by her family: husband of 61 ½ years Bareld (Bert) Dost and her 4 children, 12 grandchildren and 5 great grandchildren: Susan and Alan Williams and their children Rebecca and Kevin (Leah, Sydney) Cross, Sarah and Matthew (Audrey, Benjamin) Pearcy, Seth Williams and Naomi Teevens (Averi), Esther and Joshua Groen; Jacqueline Bell (Russ) and their children Daniel Bell, Janine and Ian Taylor (Ainsley), Carolyn Bell; Alvina and Gene Nanninga and their children Bethany, Lucas, Eli Nanninga; Bertram and Donna Dost and their children Chelsea, Chantelle Dost. She is survived by 3 sisters Roeli Oldengarm, Sies Huizing, Ina (Ludolf) Munneke and numerous nieces and nephews in the Netherlands. She is also survived by in-laws Geert Dost, Siem Dost, Grietje Vos, Sita Dost as well as numerous nieces and nephews both in the Netherlands and in Canada. She is predeceased by her parents, 3 brothers, 1 sister and several brother and sister in-laws. A celebration of Grace’s life will be held on Wednesday, March 9th, 2016 at 11:00 a.m. in Maranatha Christian Reformed Church, 11905-47 Street in Edmonton with Pastor Art Verboon officiating. In lieu of flowers, Memorial donations may be made in Grace’s name to the Alzheimer Society of Alberta, 10531 Kinsgway Avenue, Edmonton, T5H 4K1.